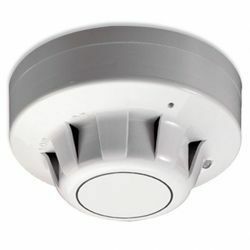 The C-Tec BF316ZH is the C-Tec part code for the Apollo Series 65 55000-317 conventional optical smoke detector. This detector is ideal for use on most modern conventional type fire alarm systems and features an integral LED which illuminates once the detector has been activated. The C-Tec BF316ZH is compatible with the range of Apollo Series 65 detector bases and is ideal for small to medium sized fire alarm system installations. For more information on the C-Tec BF316ZH call us NOW on 01200 428 410. This sensor is part of a wider range of devices which make up the Apollo Series 65 range of equipment. This equipment is 3rd party approved and ideal for installation in commercial and industrial buildings throughout the UK and worldwide. In addition to the C-Tec BF316ZH we can also supply the full range of C-Tec CFP Fire Alarm Control Panels which are suitable for use with this sensor. These panels come in various zone sizes ranging from 2 to 8 zones. If you’re interested in this product you may also be interested in our C-Tec CFP Panel and Fire Extinguisher Mounting Backboard ranges.